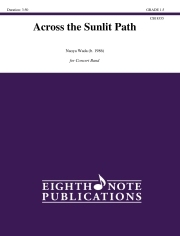 Across the Sunlit Pass was the composer's first composition for concert band written in early 2002, when he was 15 years old. Minor revisions were done after finding the long-lost score at the back of the bookshelf in 2017. The piece is written in classic overture style. Bold allegro and flowing andante are combined to make this piece an introduction to the classical style for young musicians.